“It was exactly 30 years ago. I was working on our first programme of holidays and there was a volcanic eruption in Iceland. I went there in a small jeep – this was in the north of Iceland – with three other people and we stood on a hill in the evening with an ocean of lava as far as the eye could see. I picked up a piece of lava that was hardening on the lava flow, and we still have it up in our conference room today – a new piece of land. At the same time it was dark and the northern lights came out, and then the moon shone down, reflecting off the scene. Then some whirlwinds started twirling because of the reaction from cold air hitting the lava. Beautiful. There was an old couple in the jeep that I was in, who had lived in India and were very well travelled. They said they’d been all over the world and this was the most amazing scene that they’d ever, ever seen, and that as long as I would live, this would be the most amazing scene that probably I’d ever see and – so far – it has been. One of the many reasons we love Iceland and encourage travel there is because of its interesting geology and lively volcanic activity, which has moulded much of Iceland’s curious landscape. This ensures Iceland is always spectacular to explore, but if your interest lies in watching a live eruption first-hand, make sure you’re signed up to our Volcano Hotline and we’ll contact you with details of potential last minute trips. All Discover the World holidays are covered by our industry leading 100% Guarantee and our Travel Disruption Charter, meaning you’re in safe hands whatever happens and wherever you travel. Discover more about holidays to Iceland or contact our team of Travel Specialists to discuss your plans or for a tailor made quote. Our client Sam Boote and his wife descended into Iceland's dormant Thrihnukagigur volcano in June 2012 - read about his experience below. 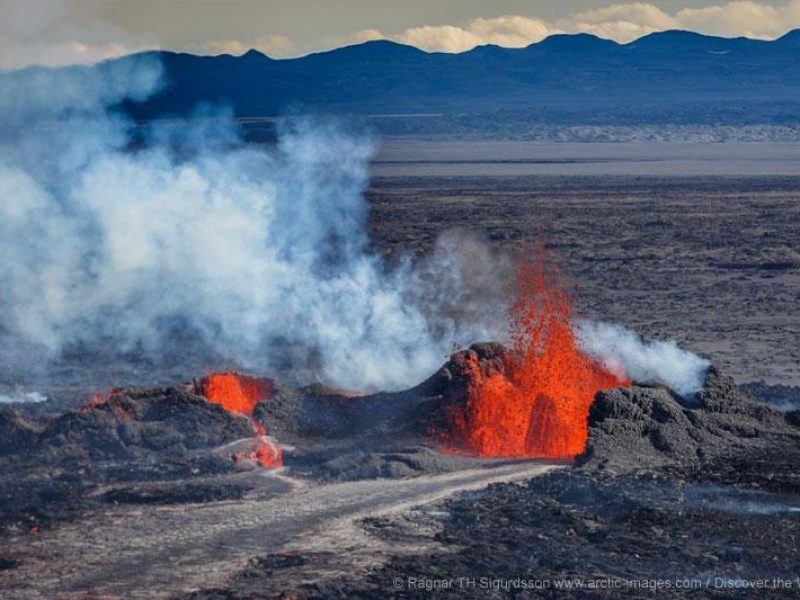 Our MD Clive Stacey writes about his initial reactions to hearing about the eruption in Iceland, and his own experience of viewing some of this awesome display of nature. 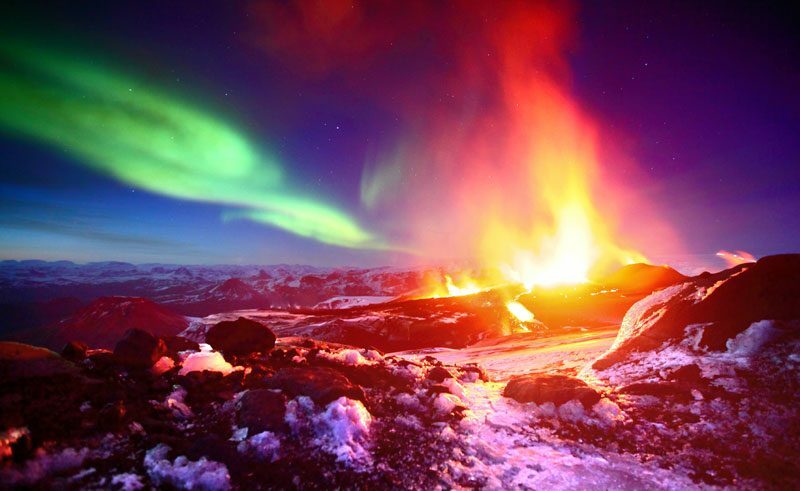 From geysers to volcanic eruptions Iceland's geological activity is not only abundant but sensational. The country owes its very existence to its unique volcanic prone position on the North Atlantic Ridge.